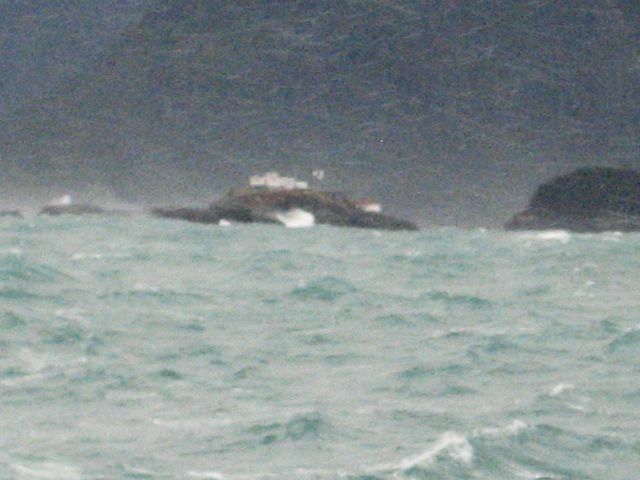 Cape Spencer Lighthouse seen in the distance on a stormy day. Entering Cross Sound from the Gulf of Alaska . The blue-green water is from glacial melt-water from Glacier Bay.